A Case Study on Innovative Fleet Management, Using QR Codes. The textbook definition of a QR Code is a two-dimensional bar code created by Japanese corporation Denso-Wave in 1994. The “QR” is derived from “Quick Response.” A type of Matrix or Two Dimensional bar-code. Rather than use a linear or laser type reader you use an imager –like the camera of an iPhone or a bar-code scanner that will scan linear and also has an imager. My definition? Another existing technology that will solve many business problems. There are several QR code versions all of which allow varying amounts of information. The size of the QR code has little impact. In fact, if you have a QR code displayed on a screen during a presentation, it’s likely that someone in the audience could use their iPhone or Android to take a photo of the code and if they have the app on their phone then action could be taken concerning the contents of the code. 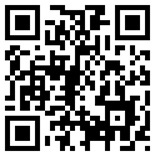 It’s very common to embed an URL in the QR code which directs you to a website. Now I really don’t care who developed the code or the specifics of how it’s constructed, but I do care about what it can do for us in both our personal and business lives. Being able to look past the technology, and imagine the use, is the key to using it to the fullest. In fact, there are many creative ways to use QR codes all of which solve business challenges. Hey linear bar-codes… you’d better look out! QR codes could ultimately replace you! The Case: A company servicing the Oil and Gas industry has a substantial vehicle fleet worth tens of thousands of dollars. They use a robust web hosted software solution to manage the maintenance and other information regarding each of the fleet assets. The fleet being mobile, they struggle to keep timely and accurate maintenance schedules and physical locations of each asset. They also find it difficult to gain a mobile-in the field view of any given asset. When vehicles are not in the field they are not generating new business or income. The Solution: QR codes were placed on each vehicle. Fleet managers capture the code on an iPhone, iPad, or other imaging device and they are taken directly to that asset in their software solution. This can be done not only at their facility but anywhere they have phone coverage – like in a corn field. Information can then be viewed or updated regarding that asset. In fact we also placed the QR code on a key chain so if you have the keys to any vehicle you can also access that assets information. The Benefits: Vehicles no longer sit unused. Timely updates of where the vehicles are, the maintenance history, and what the vehicles are doing is now updated visible in the system. Asset number entry is now accurate resulting in credible historical data. Management and staff are now able to focus on income generating and customer care events. The result? You guessed it… PROFIT! Dan Belanger is the President of BELTECH - the Belanger Technology and Consulting Group. His background includes thirty years of solution based action in multiple business models including Distribution, Manufacturing, Warehousing, Facilities Management, Service, Retail, and Information Systems.